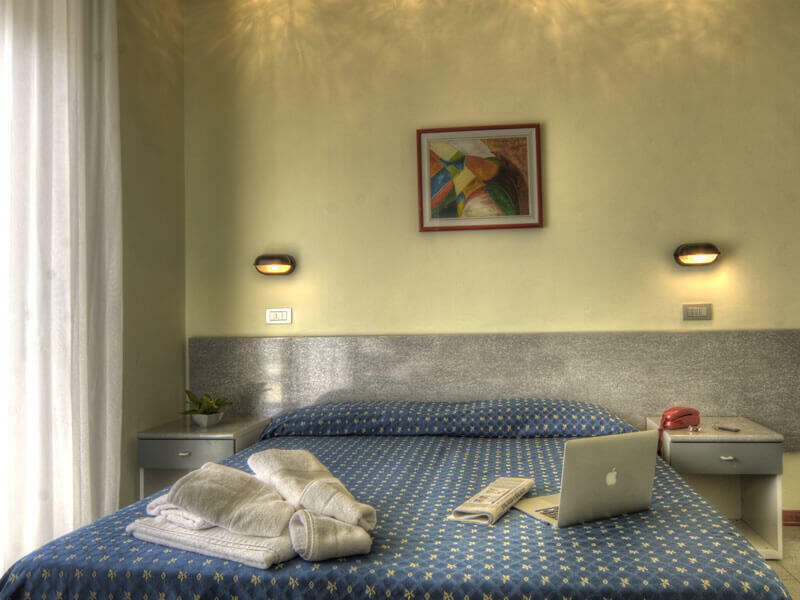 If you are looking for a cosy hotel where to sleep in Riccione we recommend Hotel Reggiana. Its rooms, comfortable and well-lit, have been furnished with modern style furniture and furnishings and they await you for a regenerating rest. 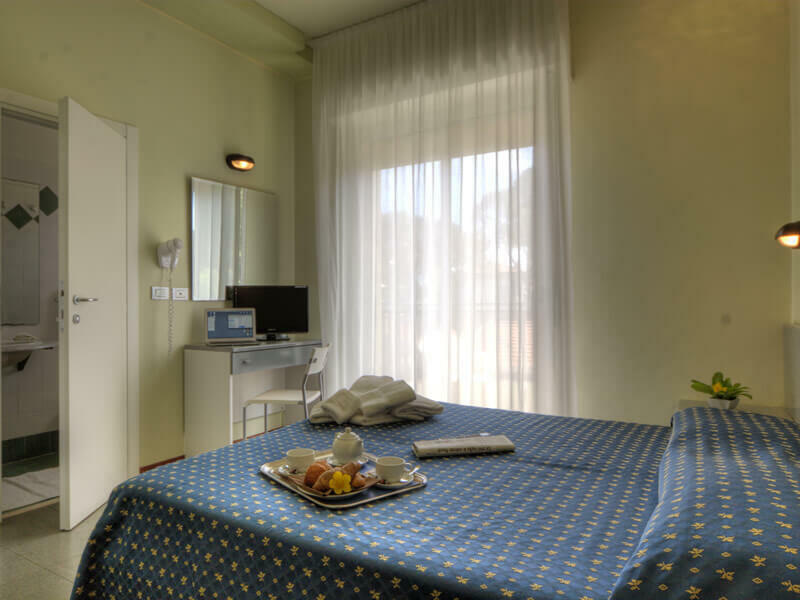 The rooms of this hotel you will find a balcony, in addition to private toilets, orthopaedic bed frames. In addition, direct telephone and TV, while if you need to preserve valuable objects, at the front desk are available safety deposit boxes. 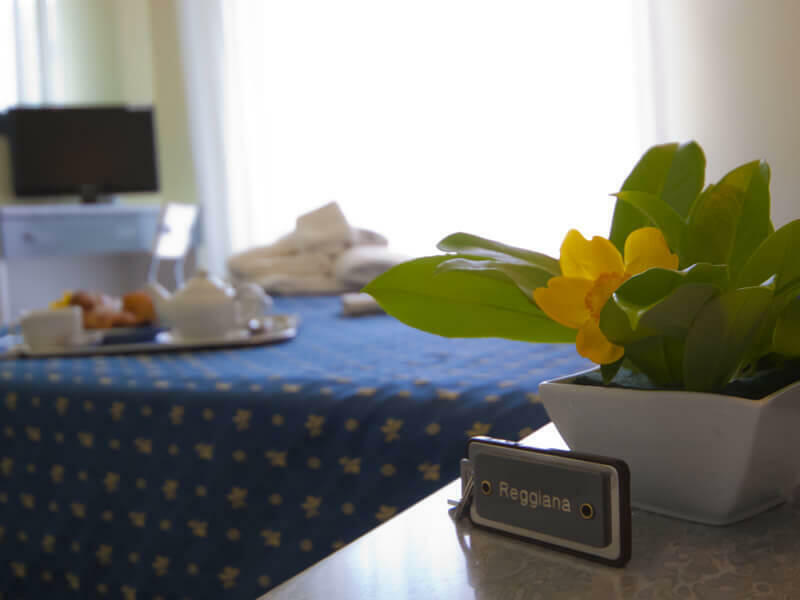 Your stay at the Hotel Reggiana will be delighted by the serene atmosphere that one breathe in this area immersed in greenery and silence, but just a step away from the lively rhythms and the services of the centre of Riccione. Standard Room: They are spacious and comfortable rooms, almost all of which have a balcony, with private bathroom, 22" LCD TV, direct dial telephone and air conditioning/heating. Comfort Room: They are spacious and fully renovated, with balconies overlooking the street, equipped with twin or double beds with bathroom and large walk-in shower, 32" LCD TV, mini fridge, direct dial telephone, electric shutters, air conditioning and heating. A room connected to another adjoining room is also available.